A fascinating evening spent talking Mayoral trigger ballots and Newham politics on Sky channel 827. I wish other community media were as interested in local politics as ATN Bangla. 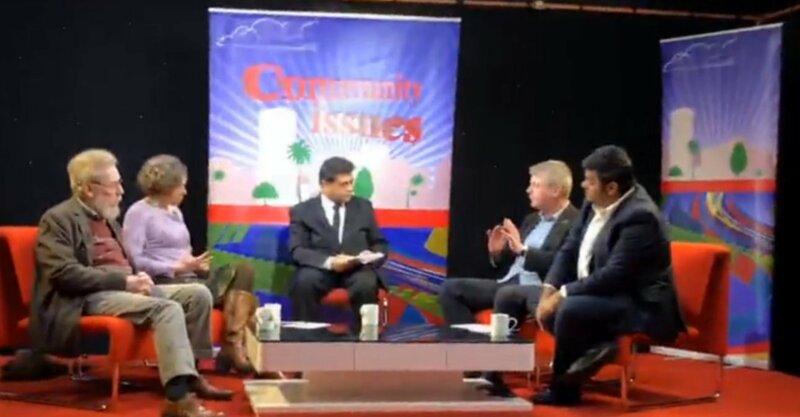 Myself, Cllr John Whitworth, Cllr Julianne Marriott, Cllr Anam Islam and West Ham CLP Treasurer (and former senior Councillor) John Saunders spent a fascinating 90 minutes being interviewed live answering questions from the presenter and emails from viewers. The TV presenter was the always impressive, Doros Ullah, who I used to know when he was a Tower Hamlets Councillor and I was a local UNISON branch officer. I will try and search for a youtube link.